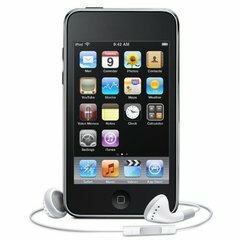 Fancy a new 32 Gig iPod Touch? Well you could be in with a chance of winning one if you take our survey. We just want to find out a little bit more about you. As well as giving you the chance to tell us what you think of us. There are only a few multiple choice questions – so it will take you no time at all. Survey closes on April 12th 2010. For details on terms and conditions go here. This is a good offer. Thank you for the chance. This likely is much wanted. Good I have interest in it…. RT jfs. Didn’t ask who I was. iPad = staff win? i want to win this ipad. i am so jealous that all my friends have ipods and i dont. so i would love to go one better. Given that the survey didn’t ask who I was, how are you going to know how to contact me if I win? i wanna participate this contest.i wanna want to win this ipad for free.